366 in stock Need More ? Angelina Jolie and Elle Fanning star in this Academy Award-nominated live action fantasy prequel to the 1959 Disney animation based on the classic fairytale. The beautiful Maleficent (Jolie) is a kind-natured woman but when she is betrayed while protecting her peaceful kingdom from an army invasion her heart begins to turn to stone. 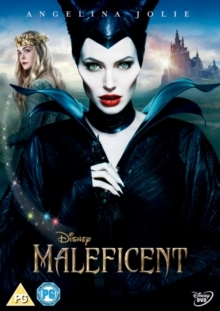 Maleficent takes her vengeance by putting a curse on Princess Aurora (Vivienne Jolie-Pitt), the young child of her enemy's successor. Over time, however, Aurora (Fanning) grows into a young woman and Maleficent comes to understand that the princess may be the only one who can bring peace back to the kingdom. The film also stars Sharlto Copley, Juno Temple, Brenton Thwaites, Imelda Staunton and Sam Riley.